Thinking of selling your home? 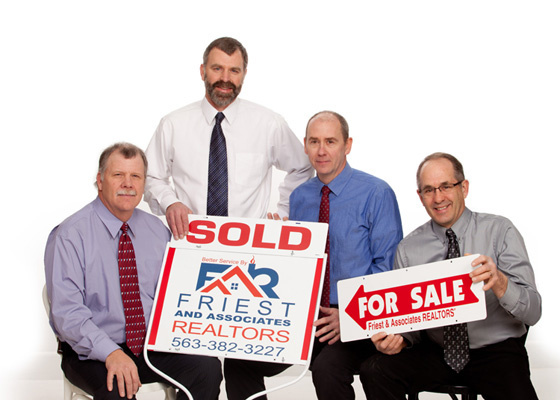 Friest and Associates Realtors sole business is listing and selling real estate. We concentrate on making the sale of your home as easy for you as possible. Our realtors are here to assist you in the complexities of the negotiating and selling process. Let Friest and Associates help you put a sold sign in front of your home. We can help you price your home by doing a free comparative market analysis. Contact us at 563-382-3227 or email us at faar@friest.com.